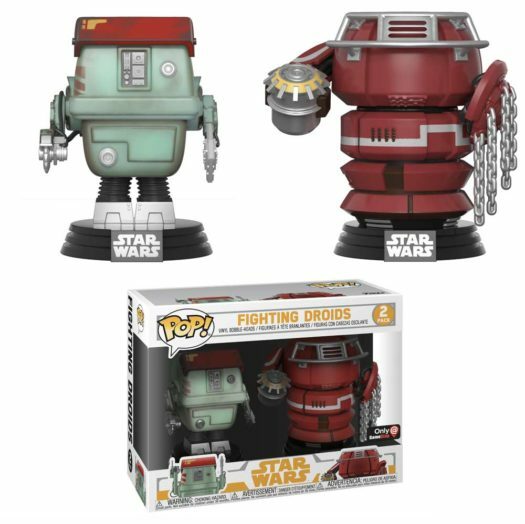 New GameStop Exclusive Solo: A Star Wars Story Fighting Droids Pop Vinyl Set Now Available Online! The new GameStop Exclusive Solo: A Star Wars Story Fighting Droids Pop Vinyl Set is now available online at GameStop.com. Click on the link below to order the new Star Wars exclusive today. Previous articleNew Target Exclusive Solo: A Star Wars Story Han Solo Pop Vinyl Now Available Online! Next articleNew Iron Man Red and Gold XS Hikari Set Coming Soon!